Milk requires an extra protection as it attracts bacteria more than water and other liquid products. Hence we manufacture superior quality high barrier film that is very much convenient and good for the milk inside. It’s the best for the milk pouches. We work consistently on packaging material used for milk pouching and ensure that it is good in quality and is a food grade material. Benefits of our Milk Packaging Film include it has a very durable, strong sealing capability to avoid leakage at any stage. These films are cost effective, made from food grade material and available in various sizes as per the customers demand. We ensure that we use only quality food grade material manufactured with the help of advanced technology that is at par with the industry standards ensuring optimum safety of milk. Please have a look at the Milk Packaging Films that we offer which comes in variety of colours, sizes, patterns and finishes. To maintain the quality of milk in the yesteryears milk was treated with ultra high temperature so as to improve the life of milk. Even in today’s day Ultra High Temperature is used in the worldwide milk and milk products market. 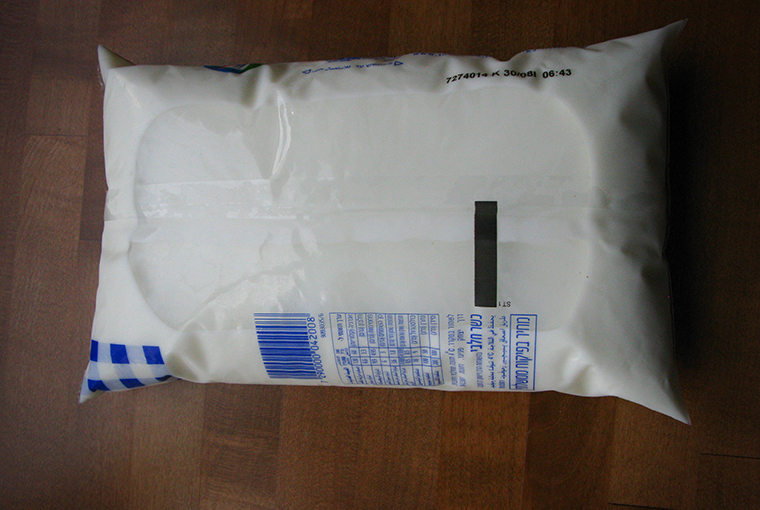 Therefore the need for producing good packaging material for packaging this milk has become a necessity. HDPE (High Debsity Polythylene) is been widely used and specially designed to pouch UHT (Ultra High Temperature) milk and dairy products all over the world. We have a product portfolio where all kinds of milk types can be used which includes Jellies, Drinks, Sauces and many other liquid products. We manufacture high quality PVC films and with the help of latest machine and modern technology which is why our milk packaging film is well-known and used worldwide. We manufacture there films in different finishes, colours and sizes which is as per the specific requirement of our clients.